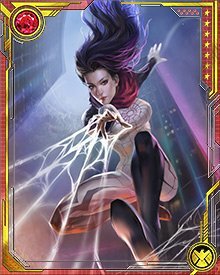 Cindy Moon was bitten by the same spider that bit Peter Parker, and as a result developed similar powers, even though she didn’t get to use them for years because she was kept in seclusion by Ezekiel. Her Spider-Sense is stronger than Parker's, and her web-weaving skills are more nuanced. 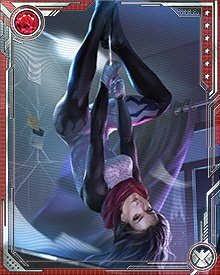 She’s made costumes from her own webbing, and even spun Parker a new mask once.